Provides three parallel forms, gives standardised scores as well as reading ages, includes an optional new measure of reading comprehension, and extends the test ‘ceiling’ for less able readers to 13+. 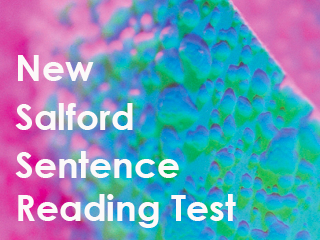 Please be advised that orders of New Salford Sentence Reading Test are restricted to schools/institutions only. Please supply an institutional address when you place your order as we are unable to fulfil orders with a private address.